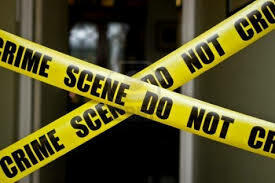 South Africa’s 2018 Victims of Crime Survey (VOCS) has indicated that aggregate crime levels in the period 2017/18 have increased as compared to the previous year, a senior Statistics South Africa (Stats SA) official has said. “It is estimated that over 1.5 million incidences of household crime occurred in South Africa in 2017/18, an increase of 5% compared to the previous year. “Incidences of crime on individuals are estimated to be over 1.6 million, an increase of 5% from the previous year,” Statistician-General Risenga Maluleke said on Thursday. The VOCS is a household-based survey that examines crime from the point of view of the victims and focuses on the public’s perception and experiences of crime. A total of 30,000 people, from across the spectrum, were interviewed for the survey. The report also explored public perception of the activities of the police, prosecutors, courts and the correctional services, the official said.